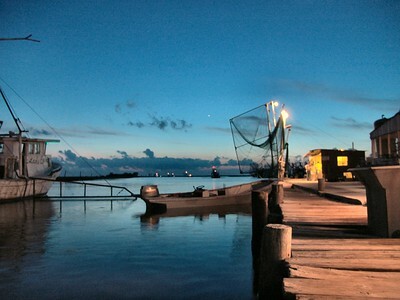 At night the owner will come out drop the net into the water and the tidal current will force shrimp into the net. 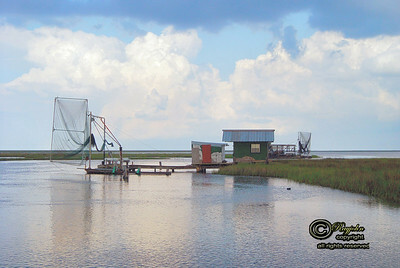 During the night the net will be lifted several times and the netted shrimp will be harvested for sale later the next day. 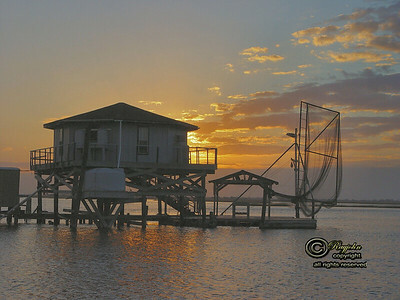 Picture taken early one morning on Bayou Terrebonne. 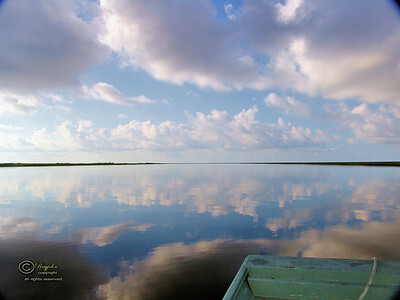 I was going out to my favorite fishing spot when I could the reflection of the Sky on the water. 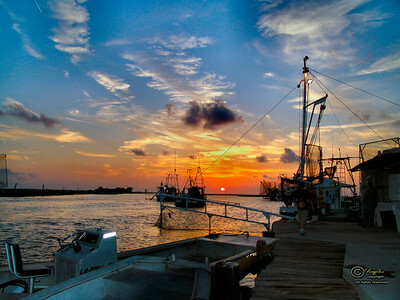 Sunset and shrimp boats working along Robinson Canal. 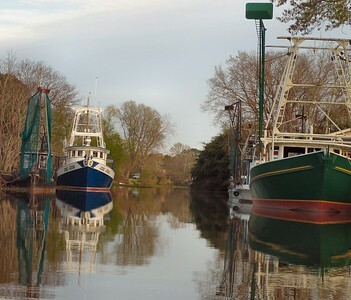 The Canal leads into Bayou Petit Caillou. 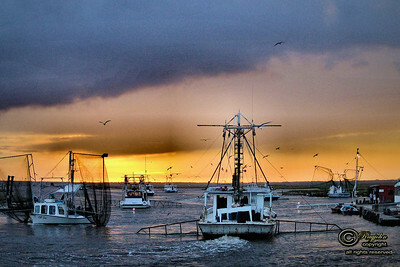 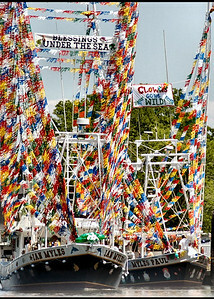 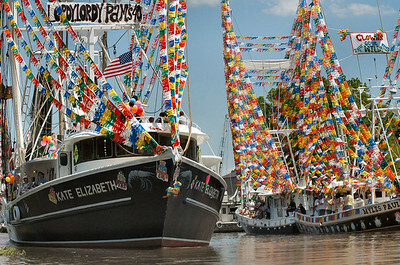 Traveling along Bayou Petit Caillou from Houma to Chauvin shrimp boats parked along the bayside.